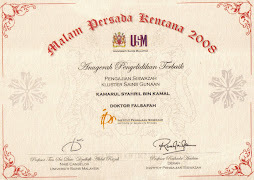 Kamal, K.S., Ab.Wahab, L. & Ahmad, A.G. (2008). Pilot Survey on the Conservation of Historical Buildings in Malaysia. Conference Programme & Abstracts of the 2nd. 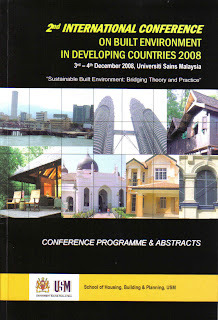 International Conference on Built Environment in Developing Countries 2008, "Sustainable Built Environment: Bridging Theory and Practice", 3-4 December 2008. 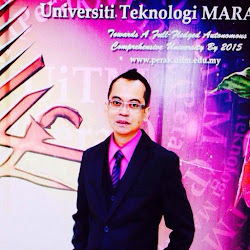 School of Housing, Building and Planning, University Science Malaysia. (Pp.30-31).